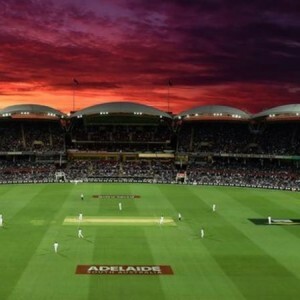 Last year, you may remember Australia hosted New Zealand in what became the first ever day-night test, in the attempt to attract larger crowds to the stadiums, and with a peak-time for TV audiences boost figures there as well. Of course you remember. How can you forget the pink cricket ball? They’ll be doing it at least once again at some point between their home summer of 2016-17, but it seems Australia may not be the sole country to do this in the near future. England and Wales’ Cricket Broad Chairman Colin Graves has said that England will do the same at some point, claiming “You can’t turn your back on it, it will happen. We just have to decide on when it is going to happen. We’re doing a lot of work on it and we’d love to see day-night cricket”. In an interview for the BBC which covered many topics, Graves also believes that counties should look in to the possibility of holding day-night first-class matches. The question is – will this be a good move, or is it merely just a gimmick that isn’t needed? One could argue that it’s definitely a good idea – in Formula One, the Abu Dhabi Grand Prix starts during sunset and finishes in the dark of nighttime meaning – for Europe, where the majority of the sport’s fans are based – a lunchtime race which falls in line to the regular time slot for European races (much like Singapore and Bahrain as well, which are held entirely at night for the European audience). For cricket fans, with test matches going up to 5 days in length, a day-night match would certainly favour fans who are in work during the weekday – a later start means less chance of missing the game due to being pre-occupied with other business. Plus, it’s proven successful with Australia’s day-night test: the pink ball proved visible for players, TV and fans alike, so with that in mind – maybe this is a step in the right direction for English cricket. Whether it remains a unique special event or becomes more of the norm as time goes on, we’ll have to wait and see.